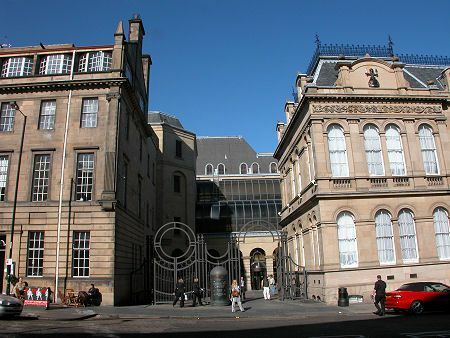 Happy Birthday to the All-Scotland Personal Injury Court! On 22 September 2018, our Scottish specialist Personal Injury Court will be three years old. The All-Scotland Personal Injury Court (ASPIC) was established following the recommendations of The Scottish Civil Court’s Review, led by Lord Gill. Based in Edinburgh, ASPIC decides personal injury claims with a value in excess of £5,000 (in excess of £1,000 for work-related injuries). ASPIC set out to ensure high quality consistency of case management and judgement in this important area of law. ASPIC is now dealing with a significant volume of personal injury actions from across Scotland. Since April 2017, Sheriff Kenneth McGowan has been the Administrative Sheriff and Chair of the Personal Injury User Group. He has recently provided some enlightening statistics on the working of The Court and has actively involved himself in providing procedural and legal clarity as to the use of ASPIC. He advises that the projected case total for ASPIC for this year is 3,255. Around 40 written judgements have thus far been produced, with almost half of these related to conflicts on expenses. Around 10,900 motions are likely to be lodged this year and approximately 10% of motions are opposed. In comparing the personal injury case distribution across the Scottish courts pre-September 2015 with the situation now, it’s apparent that the sorts of cases which were litigated in the Court of Session have transferred lock, stock and barrel to the new specialist court. Has it achieved its aims and what is it like to litigate in ASPIC? There are six experienced specialist Sheriffs hearing the cases. Therefore the standard of judicial determination is high. Great efforts are made to reduce areas of dispute to allow the Sheriff to consider only the matters over which there is conflict. For example, in advance of an opposed motion, parties are asked to draft and attempt to agree a timeline if the motion is likely to require consideration of a procedural history. This saves court time. If parties have an agreed position after an amendment procedure, ASPIC can be emailed, and the ‘Rule 18 hearing’ discharged. Again, this is a good example of avoiding court hearings altogether, similarly freeing up precious court time. A further welcome change is the introduction of a ‘By Order Hearing’ around four weeks after an action has settled. This promotes prompt payment of damages. The introduction of a dedicated area on the Scottish Courts website for all the judgements of ASPIC is warmly welcomed. This provides solicitors with an easily accessible body of contemporary Scottish Personal Injury case law. Timetables and practice notes must be strictly adhered to. There is next to no tolerance of administrative oversight. ASPIC offers the option of trial by jury. This is not available in the regional courts and that is something which ought to be considered at the time a solicitor raises a court action for their client, if the full range of available options is to be canvassed. It is fair to say that there have been some administrative teething problems with ASPIC, no doubt down to the high case volume allied with public sector cuts. However, from the sheriffs, court users and court staff, there is an overarching will to ‘make ASPIC work’ and as a result of ASPIC acknowledging and acting upon issues, organisational improvements are clear to see. After only three years, ASPIC is already developing a clear identity. From the case law, practice notes and court communications, it’s clear that parties are expected to communicate in a constructive way, to resolve issues as far as possible, leaving only those matters genuinely in conflict to be considered by the court. Procedural rules and timetables are to be strictly followed. The Administrative Sheriff has indicated his commitment to continuous improvement and the desire that ASPIC is fully fit for purpose. ASPIC is certainly earning its stripes.